Please help me to blast out a promotional post around the world by clicking on the link above. It will take you to Thunderclap – a site recommended to me by a wonder of the blogging fraternity, Damyanti Ghosh. All you have to do is share the link to your facebook, twitter, google+, tumblr accounts and you’ll have done an amazing thing for amazing people. If I can get enough people to support this post, the site will bounce it around the world for up to 3 weeks to promote our charity anthology, You’re Not Alone. This will help us to raise awareness of the need for cancer support, highlight Macmillan and hopefully help us to raise a lot of money to help those who need it. Thank you Jonathan, much appreciated. Supported you on all three. Best of luck to you! This is your chance to support “a multi-genre smorgasbord of original short stories with the same theme – relationships.” The cause is to support aid to We Are MacThis is a great opportunity for writers and readers to support writers for a worthwhile cause. 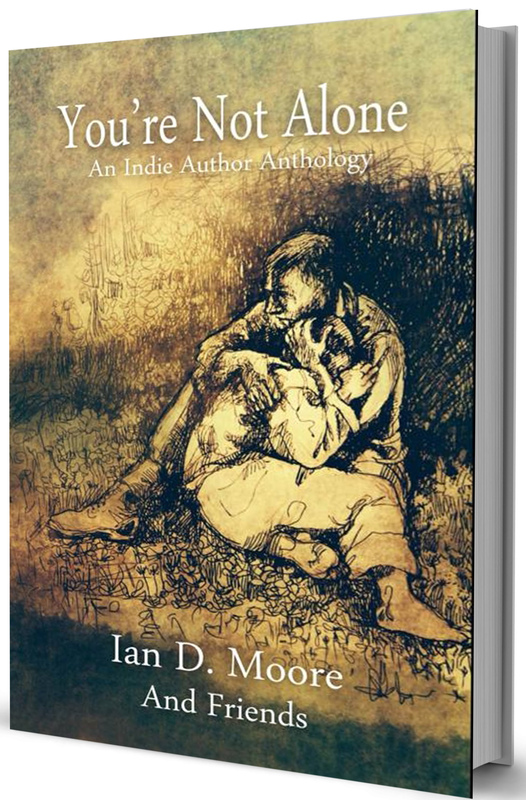 Will you show your support by ordering your copy of “You’re Not Alone – An Indie Author Anthology” by Ian D. Moore And Friends, and by helping spread the word through your writing community? Previous Previous post: When technicalities get in the way.